If you're searching for the most qualified, professional dance studio in the Southeast, look no further... welcome to Elite Dance Academy! 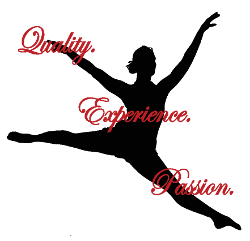 Our mission is to provide dancers with the best, most well-rounded dance program with a focus on college and professional dance preparation in a fun-filled, professional environment. We also have experience in professional auditions, modeling, pageants, voice, cheerleading, and dance/drill teams. Tumbling Acrobatics Pre-dance Program ... and more! We offer private lessons, as well as coaching in Pageants, Dance Team, Cheerleading choreography, Show Choir choreography, and audition preparation. All classes participate in a fully staged and costumed recital at the end of the season. Certificates and trophies are awarded to each student completing the full dance season at recital. JULY 28 Fall 2018/2019 Registration is Now Open! Register here. Website content and pictures ©2018 Elite Dance Academy, Inc. in Phenix City, AL. Dance studio website design ©2018 Studio of Dance.com | All Rights Reserved.